A large and handsome souvenir publication for the French liner SS Normandie sold for £460 at Mullock’s auction. Dating from June 1935, the year in which the great liner entered transatlantic service, it was issued by the French weekly L’Illustration. 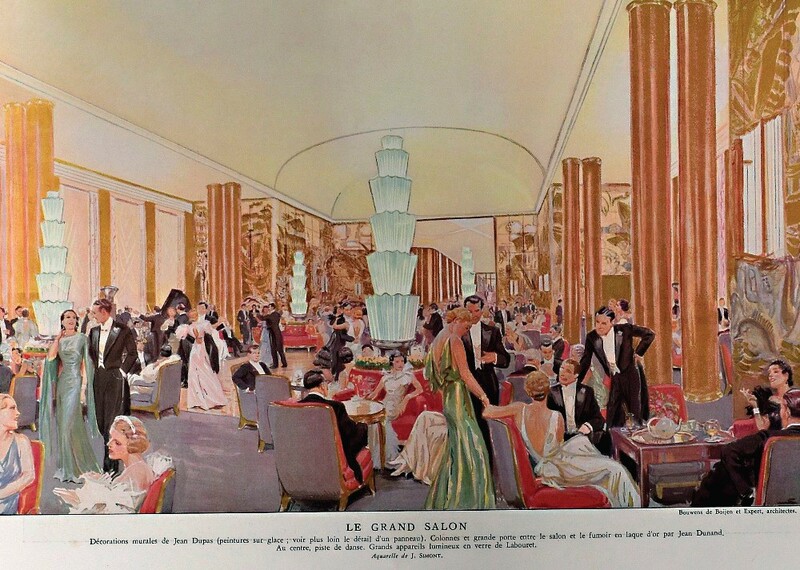 It runs to 96pp and includes 20 fine coloured illustrations – one of which, showing ‘Le Grand Salon’ is shown above – together with nine large artists’ drawings and more than 120 photographic illustrations. In card covers with gold and embossed decoration, and in very good condition, it sold at £460. During the Second World War Normandie was seized by US authorities and re-named USS Lafayette. In 1942, while being converted to a troopship, she caught fire and capsized onto the mud of New York’s docks at the mouth of the Hudson River. Although salvaged at great expense, full restoration was deemed too costly and this beautiful liner was scrapped.